Metabolomics are the new approach to track metabolic defects in severe undiagnosed disorders and may serve as the perfect first step to the right diagnosis. The term metabolome indicates the collection of all metabolites in a biological cell, tissue, organ or organism, which are the end products of cellular processes. 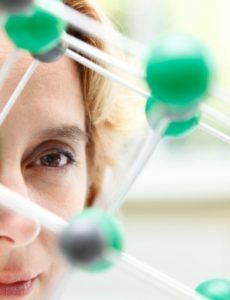 So analysing the metabolome means studying systematically all the unique chemical fingerprints that specific cellular processes leave behind by separating and identifying their small-molecule metabolite profiles. For comparison, the metabolome represents in biochemistry what exome and genome represents in genetics. The metabolome is therefore the perfect starting point before doing exome sequencing, especially when a metabolic disorder is suspected on the basis of evolutive clinical signs or because of inexplicable abnormalities in the biochemical profiles. Once the results of the metabolome are obtained, it is possible to narrow down the clinical interpretation of genes involved in the abnormal metabolic pathways. Ideal to juxtapose metabolomics with the sequencing of all 6,000 clinically known genes of the genome. Very reliable in navigating through various differential diagnoses with the tranquility of a truly diagnostic coverage. The most inclusive solution to combine metabolome and high resolution sequencing of all 20,000 human genes plus the mitochondrial DNA. The perfect choice if you feel lost somewhere in the clinics of a genetically unknown disorder. Metabolome analysis plus all the 20,000 human genes including their 5’-UTR and 3’-UTR for the screening or mutations in coding exons and regultory regions. The most complete whole exome solution. An analysis without compromises to couple whole genome sequencing (3 GB) with detailed metabolome results. Essential to screen for disease-associated mutations falling outside the coding regions.